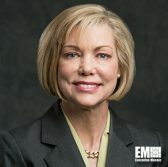 Engility has secured a potential five-year, $16.2 million contract to help update and standardize the Defense Department‘s systems engineering functions. The company said Wednesday it will assist the Office of the Deputy Assistant Secretary of Defense for Systems Engineering in the management of DoD programs related to systems engineering. 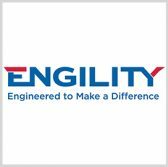 “This is an important program for our nation,” Engility CEO Lynn Dugle said. “We look forward to bringing our strong subject matter expertise and past performance to help DASD(SE) build the systems engineering capability of the future,” added Dugle, an inductee into Executive Mosaic‘s Wash100 for 2017. The contract will extend Engility’s more than 10-year support to the office responsible for all policy, practice and procedural matters related to DoD’s systems engineering programs.